Limited Atonement is a doctrine offered in answer to the question, “for whose sins did Christ atone?” The Bible teaches that Christ died for those whom God gave him to save (John 17:9). Christ died, indeed, for many people, but not all (Matthew 26:28). Specifically, Christ died for the invisible Church — the sum total of all those who would ever rightly bear the name “Christian” (Ephesians 5:25). This doctrine often finds many objections, mostly from those who think that Limited Atonement does damage to evangelism. We have already seen that Christ will not lose any that the father has given to him (John 6:37). Christ’s death was not a death of potential atonement for all people. Believing that Jesus’ death was a potential, symbolic atonement for anyone who might possibly, in the future, accept him trivializes Christ’s act of atonement. Christ died to atone for specific sins of specific sinners. Christ died to make holy the church. He did not atone for all men, because obviously all men are not saved. Evangelism is actually lifted up in this doctrine, for the evangelist may tell his congregation that Christ died for sinners, and that he will not lose any of those for whom he died! Limited Atonement is really just a subcategory of Unconditional Election. Both are completely false. Most of the arguments this author has against Limited Atonement have already been presented under the heading of Unconditional Election. Therefore, if you have not read that, it is recommended that you do so. It has clearly been proven there that Jesus died for the sins of the whole world. However, there are a few issues yet to be dealt with concerning Limited Atonement that needs to be touched upon. 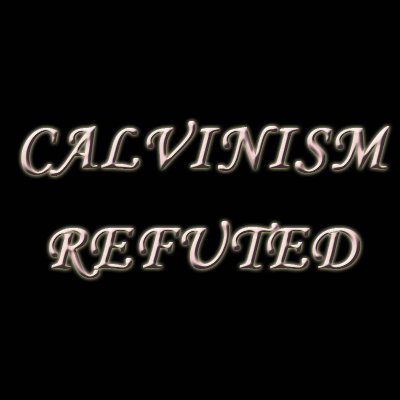 Namely, the misinterpretation of the Scriptures Calvinism uses for this point. This is the first Scripture mentioned as proof for Limited Atonement so we will start here. Christ certainly did die for those God gave Him to save. But who did God give Him? The Church. John 17 is talking about the elect that have chosen salvation through Jesus Christ. Make no mistake, there is still a distinction in the Word between God’s people, the Church, and the World. God gave the Church to Jesus, not specific people. But ANYONE could have been in the Church. Jesus died for ALL mankind in this age but salvation will only be applied to the believers. The use of the word “many” here makes a Calvinist think that Jesus did not die for all. This is a weak argument because all of mankind in this age is “many ” . As opposed to all of humanity since the beginning of time, only those of this age since Jesus could be born-again so the word “many” would be appropriate. Jesus gave Himself for the Church specifically speaking but generally speaking He also died for the whole world (John 3:16, 17). We need to look at both sides, not just the one that fits our theology. Joh 6:37 All that the Father giveth me shall come to me ; and him that cometh to me I will in no wise cast out. Joh 6:45 It is written in the prophets, And they shall be all taught of God . Every man therefore that hath heard, and hath learned of the Father , cometh unto me. How does the Father give men to Jesus? First, God teaches “all” . He brings the Gospel to all men so that they can receive Jesus. How does God bring the Gospel? Through the preaching of men (Rom 10:15,18). Second, the hearer of the Gospel makes a choice to learn of the Father God and to come to Him through Jesus. Jesus is the only Way to the Father (Joh 14:6). A learner is one that has made the choice to let Jesus be the Lord of their life; they are a disciple of Christ. So it is through man’s choice to become a disciple of Jesus Christ that God gives men unto Jesus. It has nothing to do with the Father picking out specific men ahead of time. God gives the Gospel to “all” because Jesus died for all. Those that believe, which could be anyone, are the ones that God gives to Jesus. When they are converted, they come to Jesus. If Jesus did not die for the sins of the whole world, then the blood of Jesus did not have enough power in it. Calvinism says Jesus only died for predestined saints therefore they are decreasing the value of the blood. It just was not good enough to cover everyone’s sins I guess. This author does not believe Jesus only died for the Church because the Bible says He was given for the whole world (John 3:16, 17). The people of the Church are the only ones that enjoy the benefits of the atonement since they are the ones that accepted the sacrifice but it was made available to the whole world. Why else would Jesus tell us to go into all the world and preach the good news if it was not for the whole world (Mark 16:15)? If Jesus did not die for the sins of the whole world, then God is not fair to all of mankind. He would be unjust by doing something for some but not for others. But that contradicts many Scriptures. God does not respect certain people, in other words, favor certain men. He loves all of His creation the same and did the same action for all which is send Jesus. These Scriptures prove that God loved all the world. His aim was to reconcile the entire world unto Himself. How marvelous is the God of the Bible!